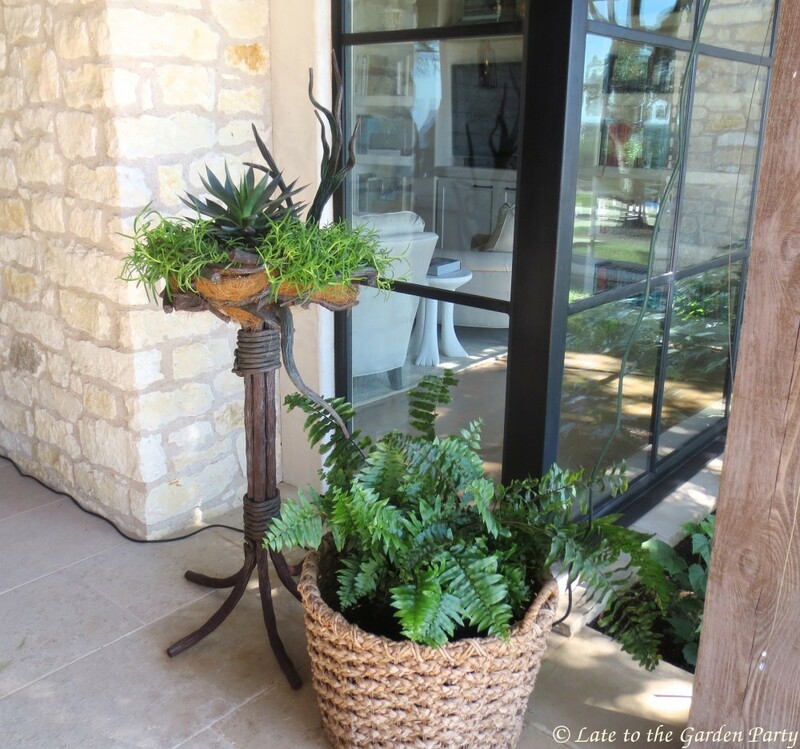 We saw many fabulous gardens during the course of the 2018 Garden Bloggers' Fling in Austin, Texas back in early May. 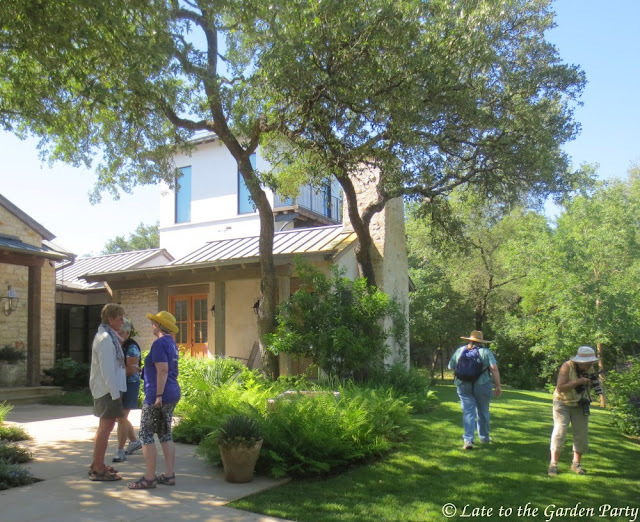 One of my favorites was Ruthie Burrus's Garden in Texas Hill Country. 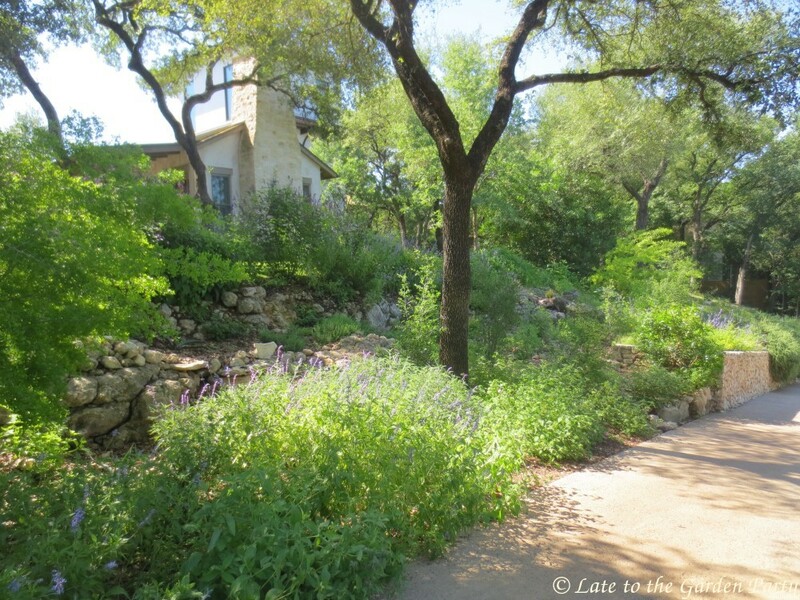 Upon arrival, we walked up a steep driveway, enjoying wildflowers in bloom on both sides. 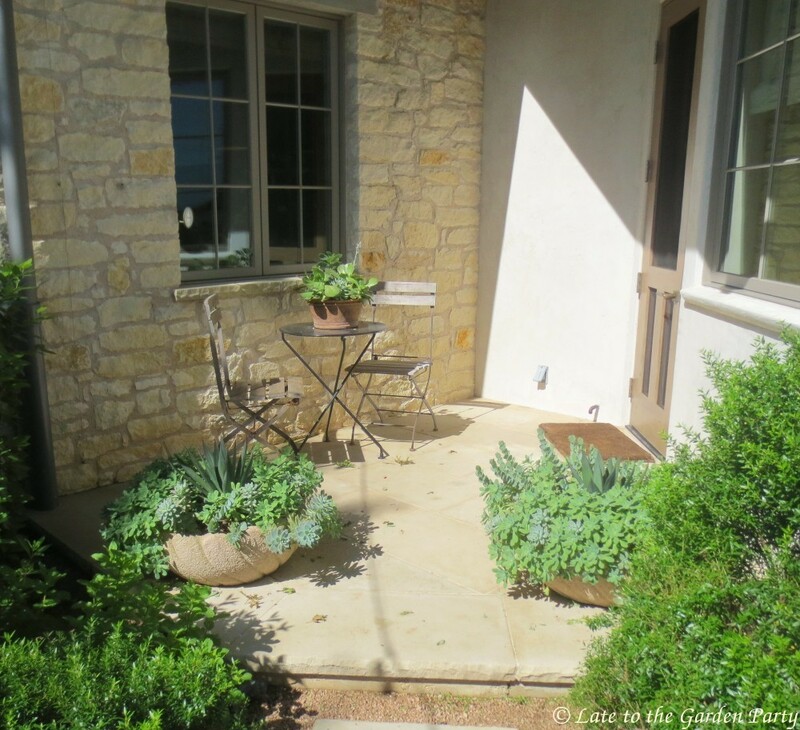 I loved the natural feel of the front garden and the mix of flowering plants and succulents. I also appreciated how well the house nestled into the garden, despite how large it was. And I was very envious of the the galvanized rainwater collection tank. 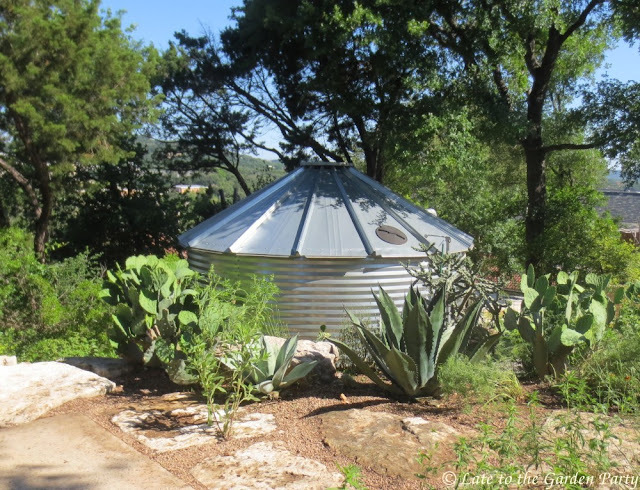 Such tanks were a relatively common sight in Austin but this one was held up to 10,000 gallons of water. I have 3 small tanks but my storage capacity maxes out at 475 gallons. If only I had a spot to put one like this! The tank sits at the lower level of the back garden. 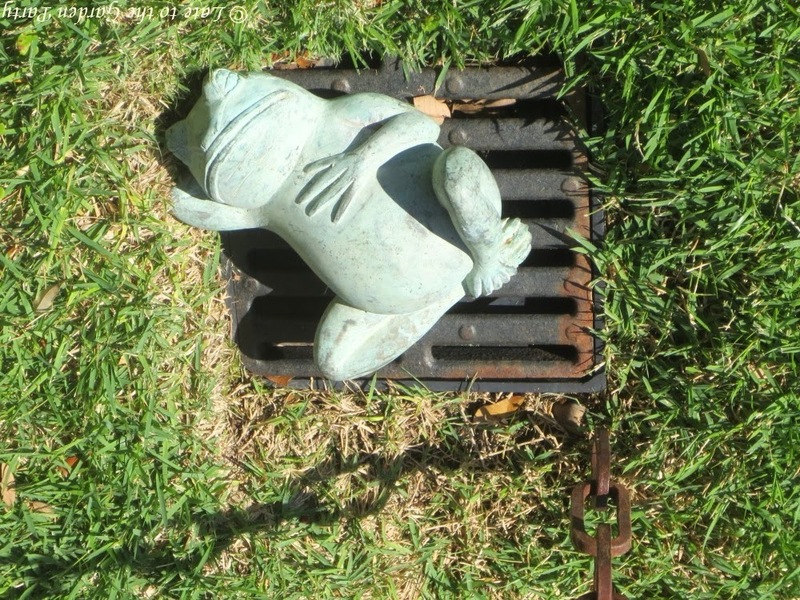 I photographed it from above in the front garden. We weren't the only visitors that morning. I caught a fuzzy photo of this fellow hanging on outside a window. This tarantula generated some excitement among the blogging visitors. This was another occasion in which I regretted my decision to leave my better camera at home in California. But the back garden had more to offer than its magnificent view. 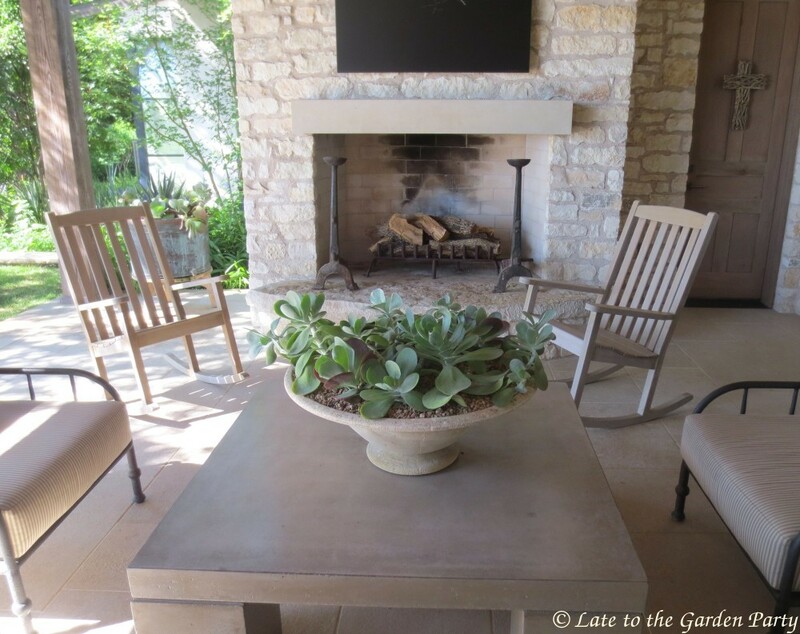 The patio offered a comfortable entertaining space. The back garden offered a little something for everybody. We were invited to go through the house and up the tower on one side to the roof, which as you might expect also offered fabulous views. Another view of the Austin skyline. 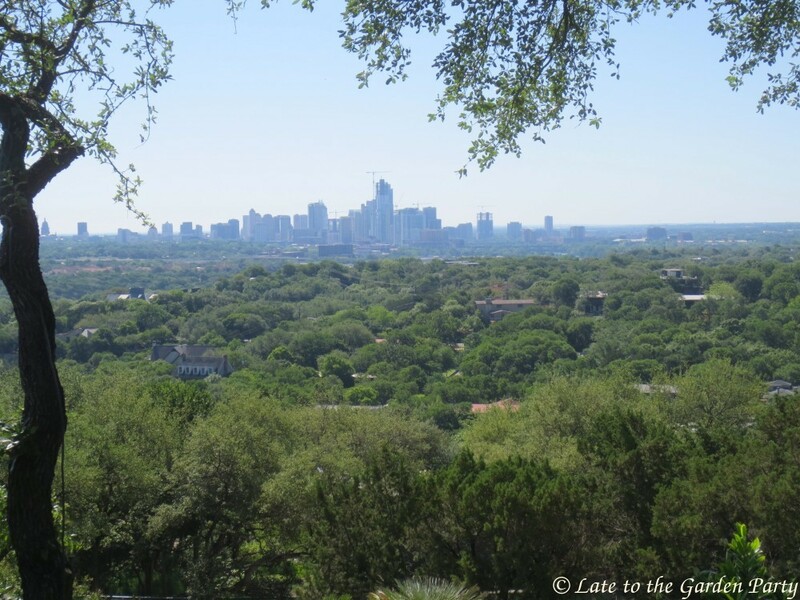 Some of us from Southern California couldn't get over how green Austin is. It gets more rain on average than Los Angeles by more than double, even though the area has also experienced serious droughts. Lucky as I am to have a view from my own back garden, I found those in this one more tranquil, although a heavy marine layer this morning is making it feel as if we're floating in a cloud today. Whatever you're doing during this first weekend of summer, I hope it comes with great views too! Oh Kris, how absolutely magnificent! Stunning. 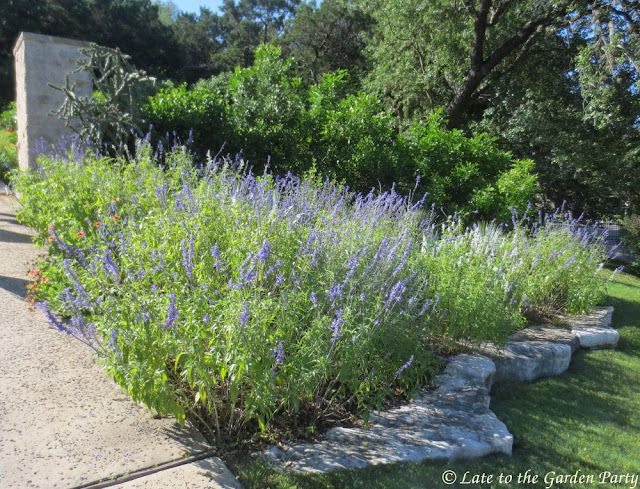 The salvias remind me of the Chelsea Physic Garden which I visited two weeks ago: an entire long garden area devoted to all sorts of Salvias. Quite a sight. But this is just magnificent. 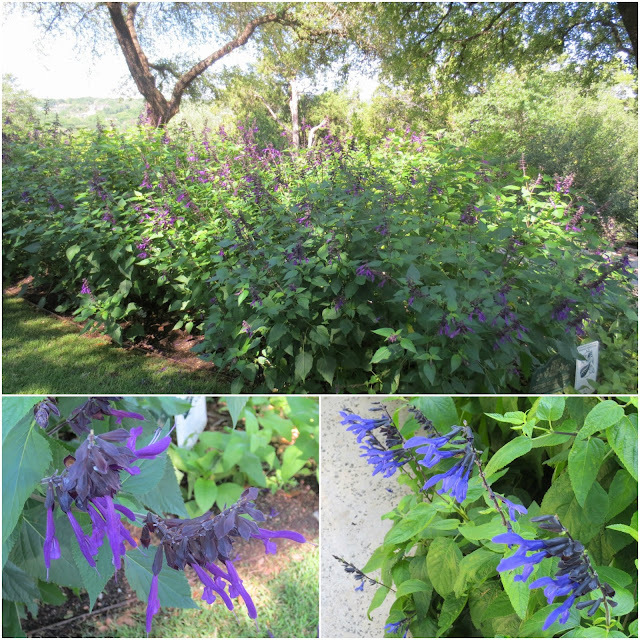 I suffer from severe Salvia envy, Libby. For some reason, many species in this genus just hate my garden, including 'Amistad', which I've killed at least 3 times. The Salvias that do well here tend to be the ones that hail from South Africa. That view, WOW. 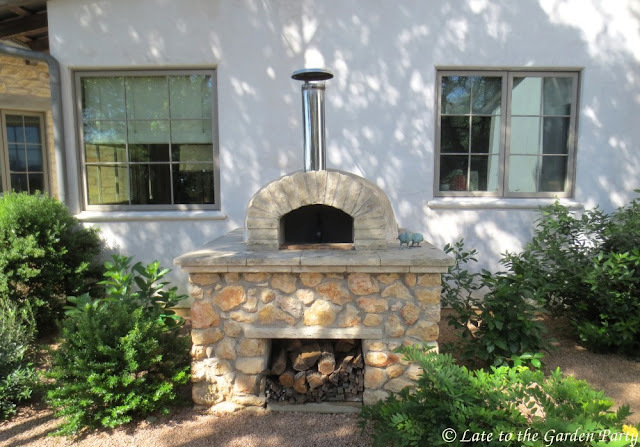 I love all the stone they have in Austin. The plants are great too. 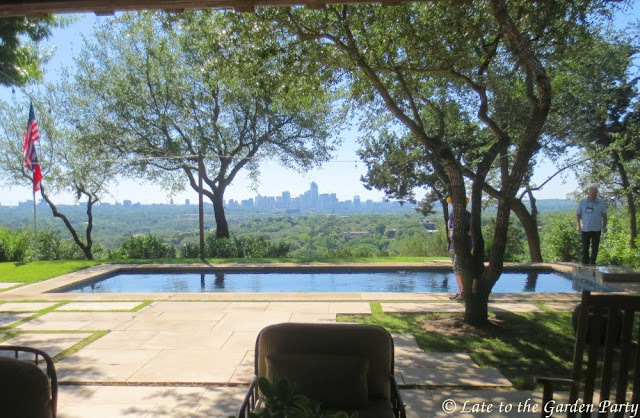 The view was definitely worthy of the many gasps I heard as bloggers walked onto that patio, Lisa. And I was honestly obsessed with the stone in Texas - and I live on the site of a former (1940s) rock quarry! Great views yes ! I am currently sitting on the deck of an inn adjacent to Mendocino Headlands State Park, with whitewater crashing below . 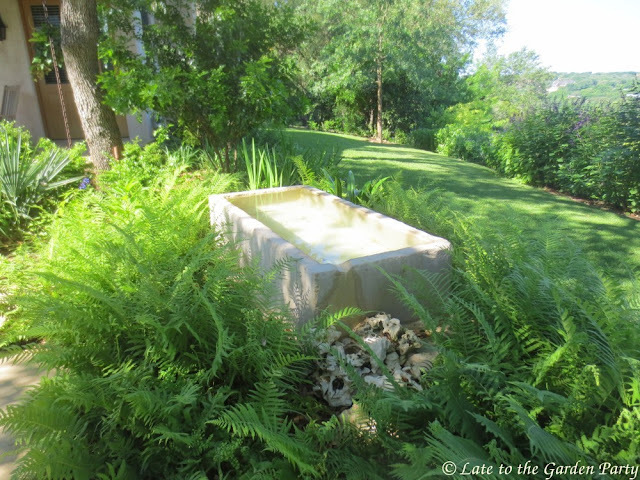 I really enjoyed this post on the Burrus garden, it was one of my favorites as well. I agree that the siting and architecture of the house was very sensitive to the land and existing trees. That view must be a knockout at night. Your current setting sounds heavenly, Kathy. Enjoy your weekend! As you're in Mendocono, I'm sure you will. Gorgeous! This was one of the gardens that impressed me by making the most of it's views... And I missed out on the tower tour! The tower offered a panoramic view but I really liked the view from the main level of the backyard better. Best wishes for a wonderful weekend, Renee! 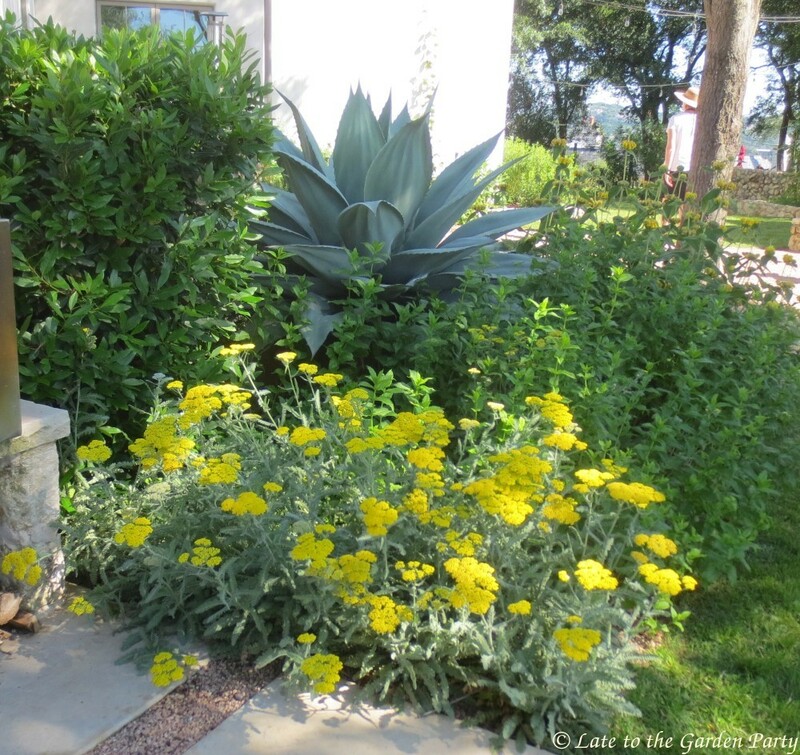 Thanks for showing this beautiful garden Kris. I've tried many salvia's but they don't like my garden soil. Not many Salvias are happy in my garden either, Marijke, and I too attribute that to my soil, which leans alkaline in pH and is very sandy. Only the South African varieties seem to take hold. It has a lot to offer, Arun! Wow, what a vista. The garden does have a restful feeling to it. I could live here! It managed to be both comfortable and elegant, Eliza. That was a gorgeous garden, and all the butterflies and birds showed it was nature-friendly as well. You don't see many gardens geared to entertaining that also qualify as wonderful natural spaces, do you? It perfectly melded both interests. I love that you got a photo of the tarantula, Kris. I heard there'd been a sighting, but by the time I got over there it had moved on. I'm sure it was especially exciting for the East Coast and northern bloggers! 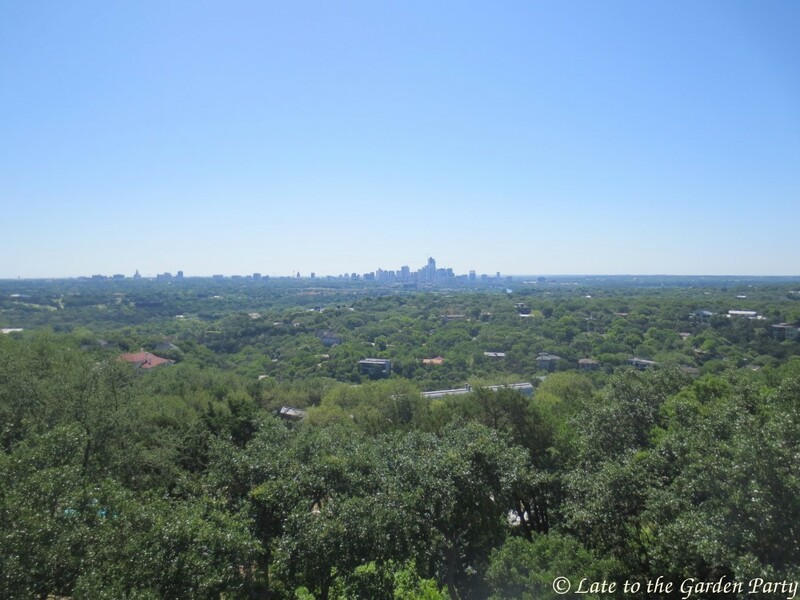 Wonderful coverage overall on Ruthie's truly lovely garden with a view. 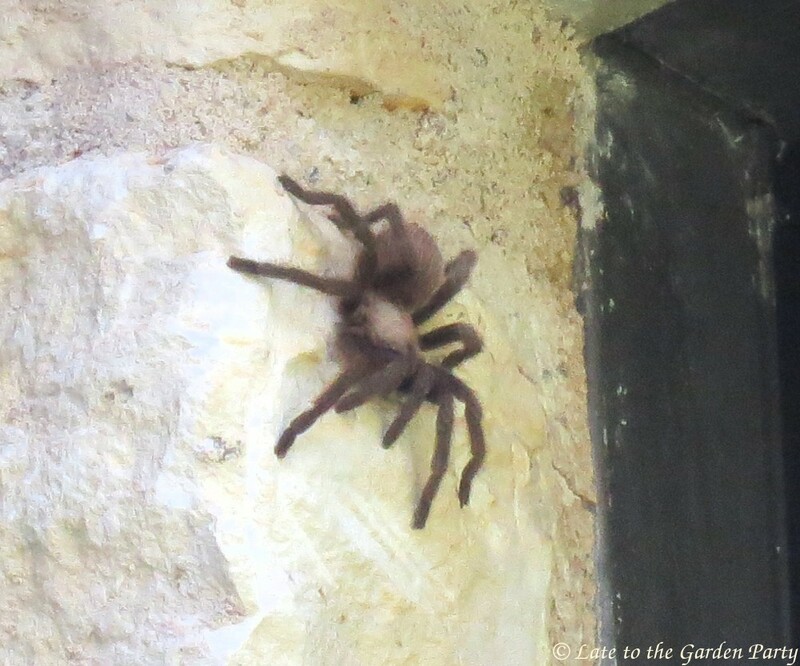 You don't see tarantulas much in SoCal either, Pam! I alternated between being curious and just a bit nervous about getting close. I'd heard that it's a myth that they can jump but I wasn't quite ready to put that understanding to a test. Kris - I grew up in 29 Palms for the most part (LA and Vegas the rest.) Once on a drive from 29 to Vegas, our car came across what appeared to be water flowing across the road. It was actually a tarantula migration. Evidently the males do this occasionally as they move around to find new territory and mates. Evidently we had a very large tarantula population in SoCal at the time. Yikes! While one tarantula isn't too daunting, Vicki, a parade of them would border on terrifying! I've lived in SoCal my entire life and can't remember ever seeing a tarantula but maybe the areas in which I lived were too urban for them. What a cool garden! 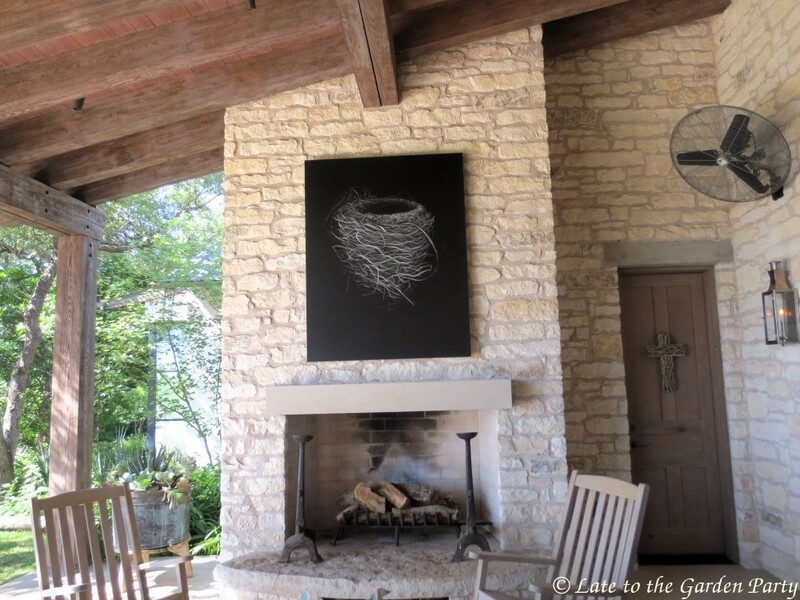 I love that nest painting, too! I'm planning on attending next year. It will be awesome to see everyone again! I wish you'd been there, Tammy! I hope to make it to Denver next year but it's 50-50. My husband and I expect to be embarking on what could be the home reno from hell late this year or early next, permits allowing. Great photos Kris! 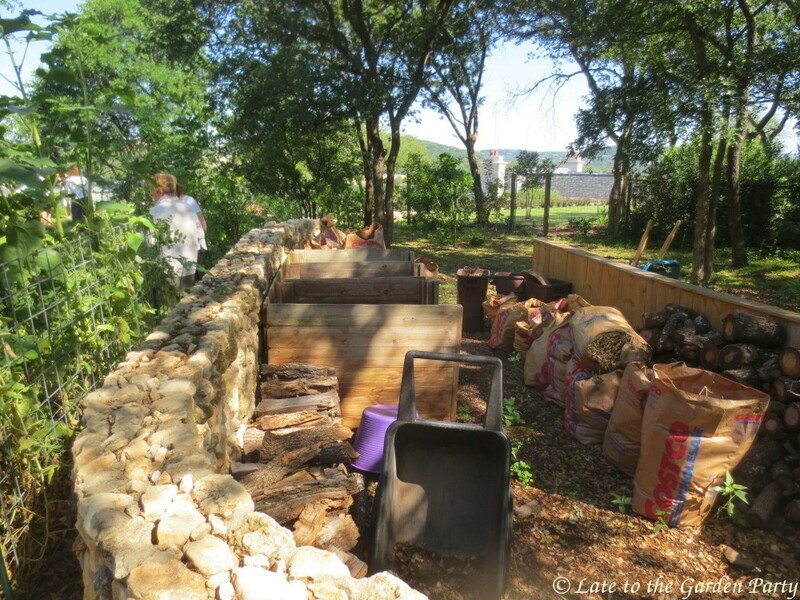 What a great garden this was, and very nice owners! They were very gracious, especially in allowing the lot of us to traipse up their stairs to that rooftop viewing spot! The wildflowers at the beginning are what struck me the most. 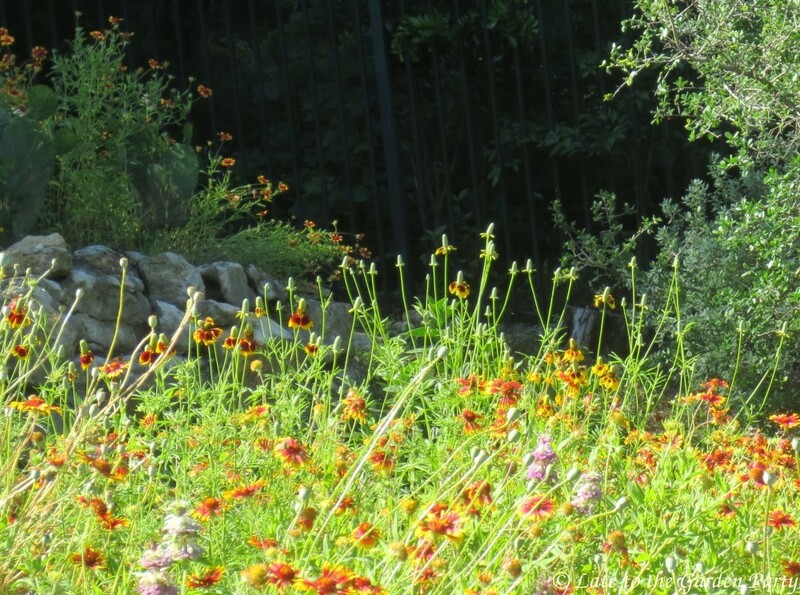 I remember driving through Texas many years ago and the sides of the highways were awash with native bloom. It was truly spectacular and so lovely. If I am not mistaken it was as the result of Lady Bird Johnson’s initiative - and I bet she never wore a coat that said she didn’t care. Yes, Lady Bird Johnson had a far-reaching impact I think, David. Her Wildflower Center was the first stop the first full day of the Austin Fling but, regrettably, the skies opened up soon after our bus pulled in and it poured. 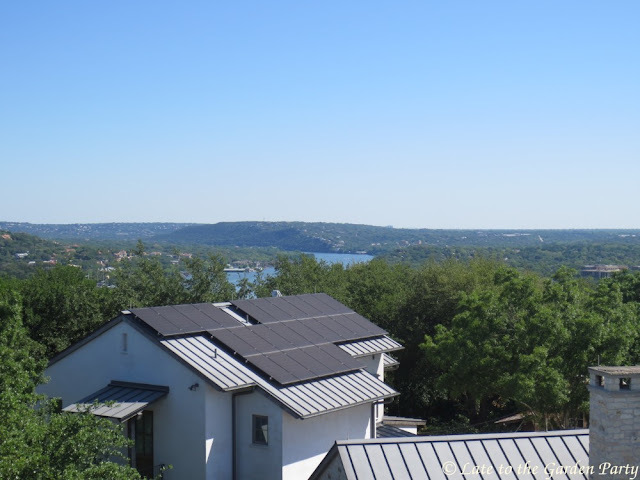 The Austinites called it a "gully-washer." Accompanied by thunder and lightning, it cut our tour abruptly short and left most of us rain-sodden for the rest of the day. Just a gorgeous garden and so much fun to explore. I've seen many tarantulas and never had one jump. They are rarer now but still around. It's fun to see how different bloggers covered the garden. You discovered a few things I missed. I Googled tarantulas and found that, while stories of jumping behavior seem to be common, scientists debunk them as myth. Wow and wow, for both front and back gardens! I am most envious of the stone garden house; my dream! 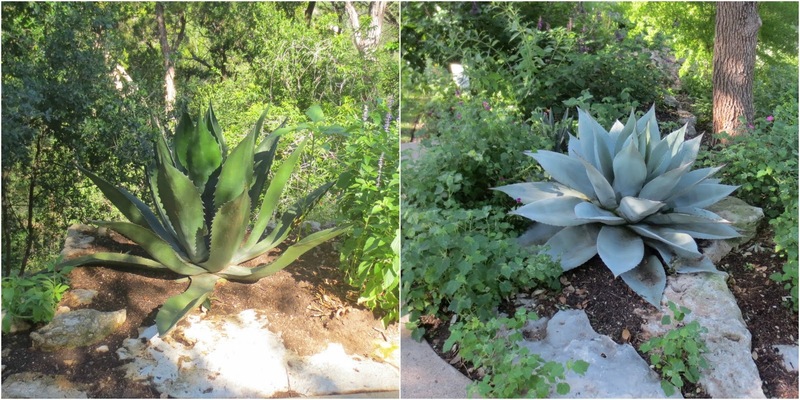 I can see why Agave ovatifolia is so popular. It is beautiful in color and form. It is always fun to visit other people's gardens. It seems I always come back with at least one idea I think I can implement in my own space. I love the cute frog! I can only wish my own Agave ovatifolia (I have 2) were nearly as perfect! A fabulous garden with so many interesting features and great planting. thanks for sharing your experience. 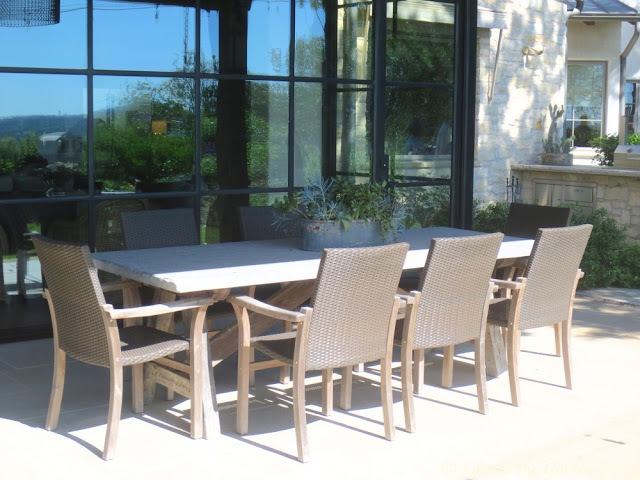 It was a very livable garden, yet ideal for entertaining too. Beautiful garden Kris. Nice job showing us around! That stone garden house captures my imagination. 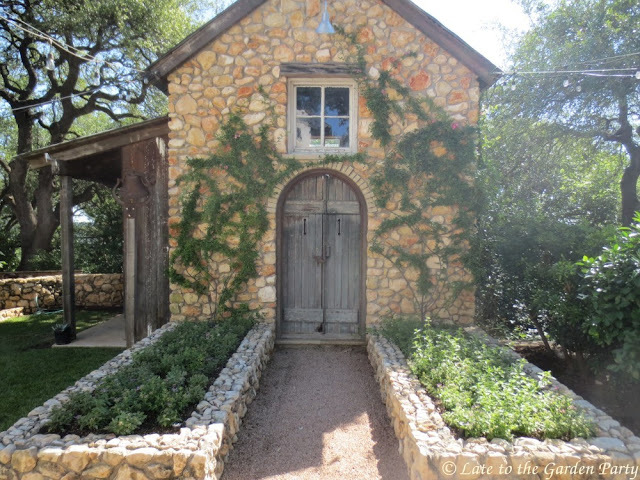 As I recall, the owner designated the stone house as her personal favorite feature in her garden. It is beautiful! Thanks for this great garden tour, Kris! I enjoyed every picture. In a Vase on Monday: Mutants!